"Cosplay" is a mix of the words costume play. It's a performance art in which participants called cosplayers wear costumes and fashion accessories to represent a fictional character. Cosplayers often interact to create a subculture and a broader use of the term "cosplay" applies to any costumed role-playing in venues apart from the stage. Any entity that lends itself to dramatic interpretation may be taken up as a subject and it is not unusual to see genders switched. I am a huge fan of Erin Morgenstern's "The Night Circus" and also Gail Carriger's "The Parasol Protectorate Series". So this gown is an amalgam of my love and admiration for the novels and to be honest is a fair piece of Cosplay. Read more about the inspiration for this costume in my blog post. 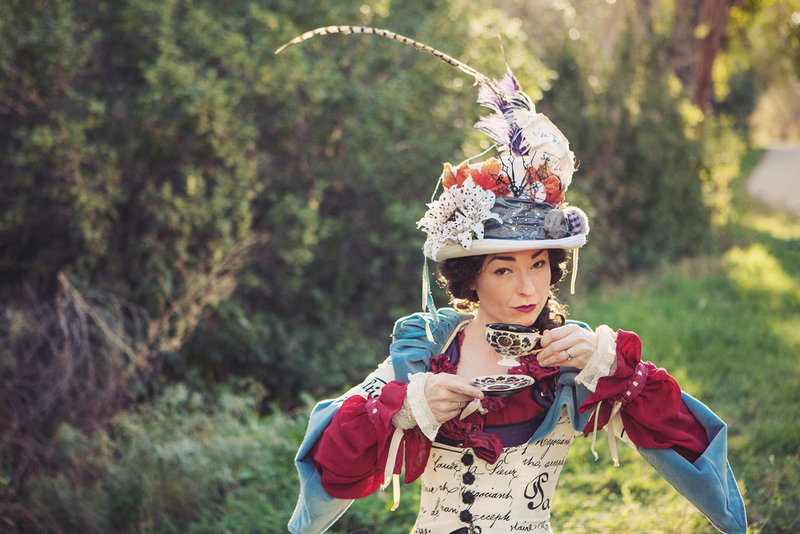 This design is a personal take on The Mad Hatter from Lewis Carroll's "Alice's Adventures in Wonderland". I’ve always derived inspiration from the book and I occasionally discover something new with each reading. Read more about this costume design in my blog post.